It's a sad reminder that summer is just about officially over when it gets dark earlier every day. Before you know it you need to turn on all the lights when you get home in the late afternoon or early evening. That is if you have any! Or enough. Growing up in the Scandinavian countries where the winter months are dark and cold for a long time, lighting was a very important aspect of making the best of an otherwise dark and sometimes depressing period. Everywhere you look there are plenty of freestanding lamps (yes - overhead recessed lighting is never enough) and dozens of candles to create cozy atmosphere ("hygge"). And despite the lack of natural light Scandinavians seem to thrive just as much while entertaining or going out as they do in the summer. As a general rule, there really should be a light in every corner of the room to make the room seem as large and inviting as possible. Add some decorative lights, a few reading or work lights, a chandelier or pendant to set the mood, and you're all set for a pleasant environment where you won't even think about how dark it is outside. In Scandinavian design lighting has always been one of the most important elements, and it's no different in the way we selected the lighting collection at Norden Living. 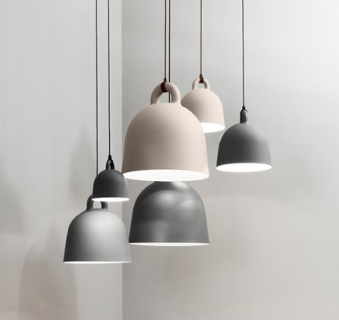 From the more practical pieces for reading and working to a wide variety of pendants that can be swagged in corners or hung over dining tables, these lights provide not just illumination but are also elements of style and simple Scandinavian sophistication. We are particularly excited about the designs from Louis Poulsen, many of which are results of carefully calculated light reflection studies for the ultimate in pleasant lighting, the Bell Collection of pendants from Normann Copenhagen with its versatile design, and the small scale JWDA dimmable table lamp that will easily light up any shelf or table top alone or in multiples. So do what the Scandinavians do - embrace the darkness and add some lighting. It's that easy!